New York Yankees first baseman Cecil Fielder dropped his trade demand Saturday night, one minute before he would have become a free agent. Fielder had until midnight to make good on his threat to become a free agent, voiding a $7.2 million contract, if the Yankees did not trade him. At 11:59 p.m., he informed the team through baseball's Player Relations Committee that he was dropping his trade demand. "Of course, we are very happy that Cecil has chosen to remain a Yankee," said owner George Steinbrenner. "He is one of the game's premier players and will be an integral part of our drive to repeat as world champions. The Yankees have nothing but the highest respect for Cecil Fielder and for what he has accomplished." The 33-year-old Fielder was acquired from Detroit last summer and played a key role in the Yankees' drive to a World Series title. As a player traded in the final year of his contract, Fielder had a right to ask to be traded, a right he exercised during the off season. If Fielder had not rescinded his request, one of the game's most prolific power hitters would have become a free agent. The Yankees contended there were no takers for a player slated to receive more than $7 million this season. Steinbrenner has discussed a possible contract extension with Fielder. Over the winter, Fielder complained about his role with the Yankees. The security of playing time was assured by manager Joe Torre, who assigned Fielder the full-time role of designated hitter with an occasional game at first base in place of Tino Martinez. Fielder hit 39 home runs last season, his highest total since he tied for the American League lead with 44 in 1991. The portly slugger hit .391 in the World Series and could have won Most Valuable Player honors if not for John Wetteland's four saves. Fielder has hit more homers (258) and driven in more runs (795) in the than any major leaguer. -- The Seattle Mariners Saturday signed infielder Brent Gates. Gates, who turned 27 on Friday, was released by the Oakland Athletics earlier this week. Last season with Oakland, he batted .263 with two home runs and 30 RBI in 64 games. Gates suffered a fractured left tibia on June 15 last year and missed the remainder of the season. In his four-year career, the switch-hitting Gates has a career .272 batting average. He has played 397 games at second base and two games at first base in his career. Gates was Oakland's number one pick in the June, draft. -- Left-hander Greg Hibbard, who has undergone two major surgeries on his left shoulder in the last three years, was placed on the 60-day disabled list by the Seattle Mariners Saturday. 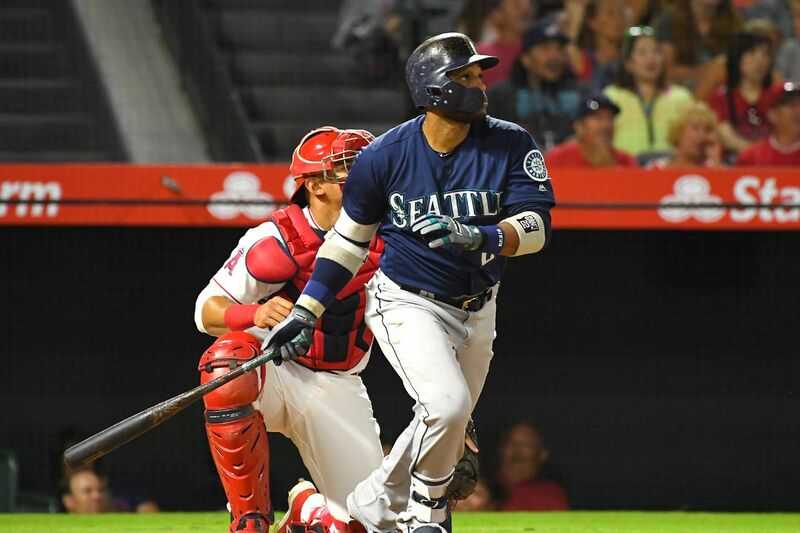 The Mariners purchased the contract of Hibbard from Tacoma of the Pacific Coast League before placing the 32-year-old on the disabled list. Hibbard will continue his rehabilitation by throwing batting practice for the Mariners.